This sweet potato casserole without nuts is perfect for those nut-free homes — plus it’s a fun handheld version. It’s a fun and tasty twist on a classic. Disclosure: I’m excited to partner with Old El Paso this year to bring you fresh and flavorful recipes. Thank you for supporting Rachel Cooks by reading about brands we love and use in our own home. Sweet potato casserole is a Thanksgiving classic. 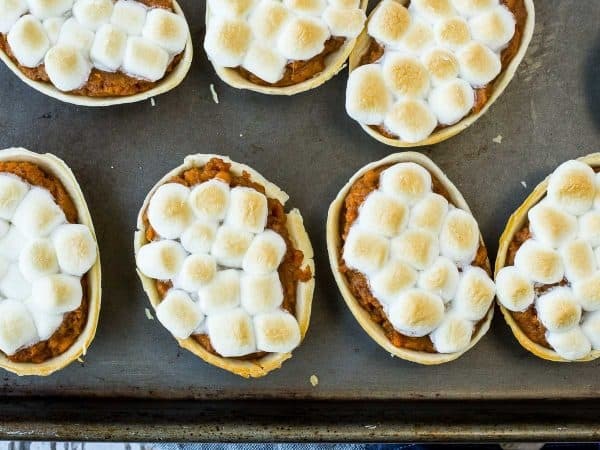 Who can resist the combination of sweet potatoes topped with fluffy marshmallows? 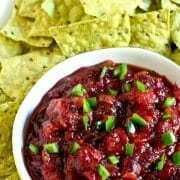 This twist gives you all that flavor in a little handheld package – perfect for big Thanksgiving or Friendsgiving celebrations. 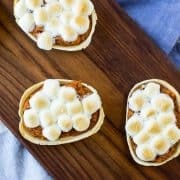 There are a million takes on sweet potato casserole but these mini boats are unlike anything I’ve ever tried. Mashed sweet potatoes flavored with cinnamon, butter (it is Thanksgiving after all! ), brown sugar and maple syrup. That would be great on its own, right? But put in in an Old El Paso Mini Soft Tortilla Taco Boat and magic happens. 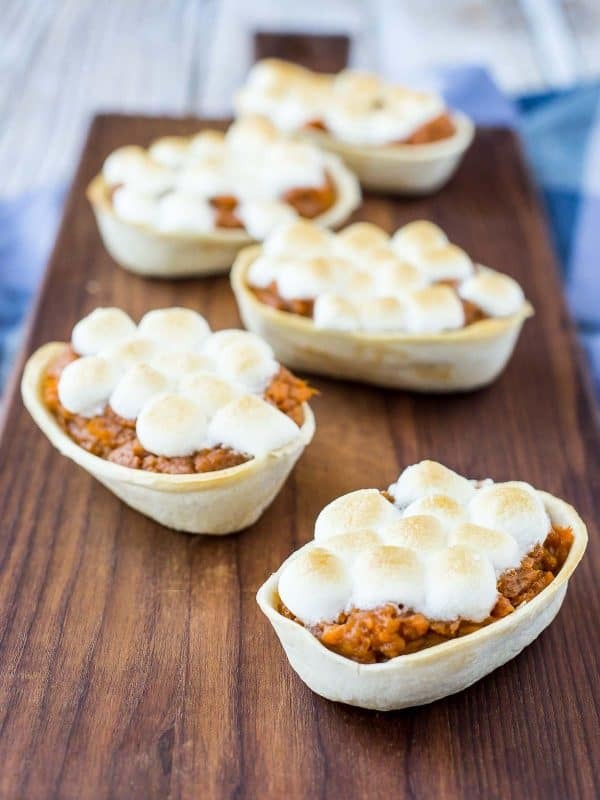 The edges of the tortilla boats crisp up perfectly and the marshmallows are like icing on the cake. It’s the perfect handheld sweet potato casserole. 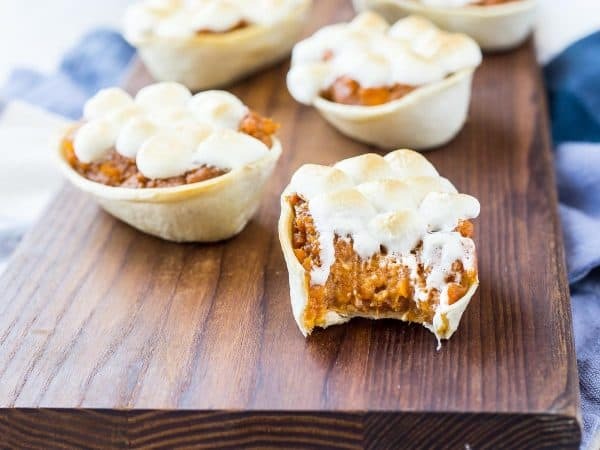 I envision these being perfect for a big Friendsgiving celebrating or a Thanksgiving where you want to be traditional, but not same ol’ same ol’ traditional. Traditional with a twist. These are your answer to that dilemma. If you want more fun ideas, try twice baked sweet potatoes or sweet potato bread pudding. Or if you prefer things more on the savory side, these scalloped sweet potatoes with gruyere and bacon are to die for. Best news about this handheld sweet potato casserole? It’s easy to make, of course. I baked my sweet potatoes the day before so that they were ready to be combined with all the sugar and butter and cinnamon. That mixture gets spread into mini boats and into the oven it goes. Let it get hot and crispy and then pull it out and top with marshmallows. Back into the oven for a couple minutes and you’re good to go! I made this handheld sweet potato casserole without nuts so that my kids could eat them but also because I know many sweet potato casserole recipes contain pecans or walnuts. They’d be a great addition to these if you’re not celebrating with folks that have nut allergies, but if you are, these are a fantastic alternative. Plus, my kids thought these were the coolest things ever. What kid wouldn’t love something that they can eat with their hands — and something that is COVERED IN MARSHMALLOWS. My kids were thrilled when these showed up on their plate for dinner. Preheat oven to 350° F. In a large mixing bowl, combine mashed sweet potatoes, cinnamon, butter, brown sugar, and maple syrup. 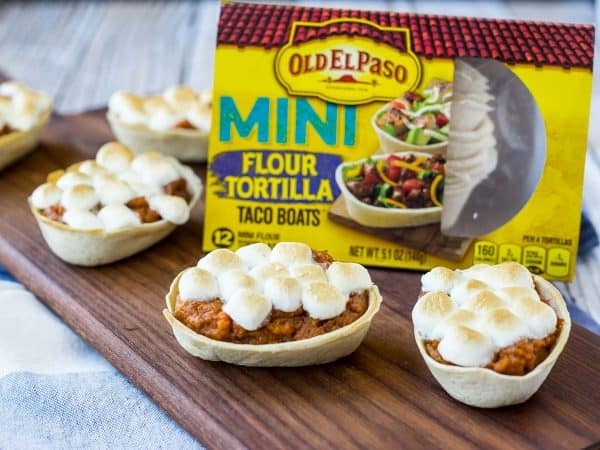 Place Old El Paso Mini Soft Tortilla Taco Boats on a baking sheet. 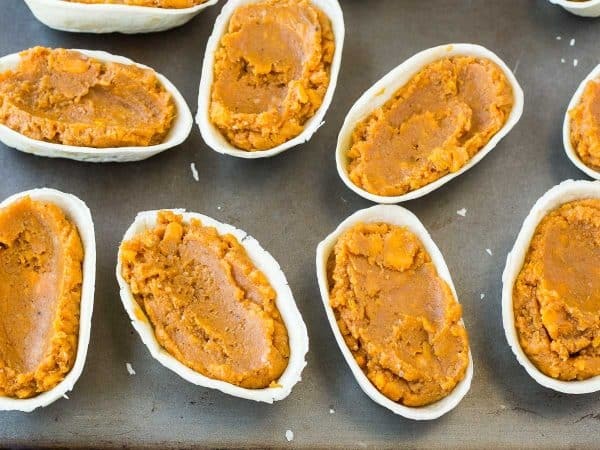 Spread sweet potato mixture evenly into each taco boat. Bake for 12 minutes. Carefully add mini marshmallows and bake for 2 more minutes or until marshmallows are puffy. Turn on broiler for 1-2 minutes to brown if desired (watch carefully!!!). Tip: To fill the mini boats easily, place sweet potato filling in a large zip-top bag. Snip off corner and pipe filling into mini boats. Press down with a spoon gently to get filling to edges. Tip: If you’re a fan of ginger, it would be a great addition to these. I’d recommend adding ¼ to ½ teaspoon ground ginger. Verdict: I could have eaten a hundred of these. Husband’s take: No complaints (such a nice husband), although sweet potatoes in general aren’t his favorite thing. He did a fair amount of sharing with the kids because they couldn’t get enough. Changes I would make: None are necessary but I do think a touch of ginger would be delish. Disclosure: I’m excited to partner with Old El Paso this year to bring you fresh and flavorful recipes like this sweet potato casserole without nuts. Thank you for supporting Rachel Cooks by reading about brands we love and use in our own home. Can you make the filling the night before?? Yes! That will work great! Woooww, looks absolutely awesome. 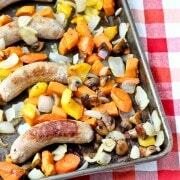 I really need to try this recipe as soon as possible. Looks very authentic and perfect for Thanksgiving! I think these are the coolest thing ever, too! Such a fun treat. These are so cute! Great for the holidays!! What a fun idea for the holidays! I have a feeling my boys would be tempted to eat sweet potatoes if I served them like this. 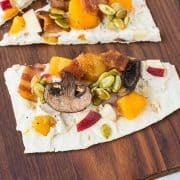 SO thrilled to see a recipe for sweet potato casserole that is nut free! Making it in individual servings with marshmallows will send my boys over the edge of happiness. Who doesn’t like finger food?